If you’ve been following along with my blog, you’ll know that I’ve been doing a series of Thanksgiving posts – tips and tricks to get you prepared for your dinner. It’s all leading up to a gathering I’m hosting which is… this Saturday (oh boy!). You can look through the archives or my latest posts to find the series! This will be the last post of the series until, of course, the gathering! And then I can show you all how it went! I don’t know when I will have time to get the post on the gathering up so I wanted to give you some inspiration on how to style your table before turkey day! 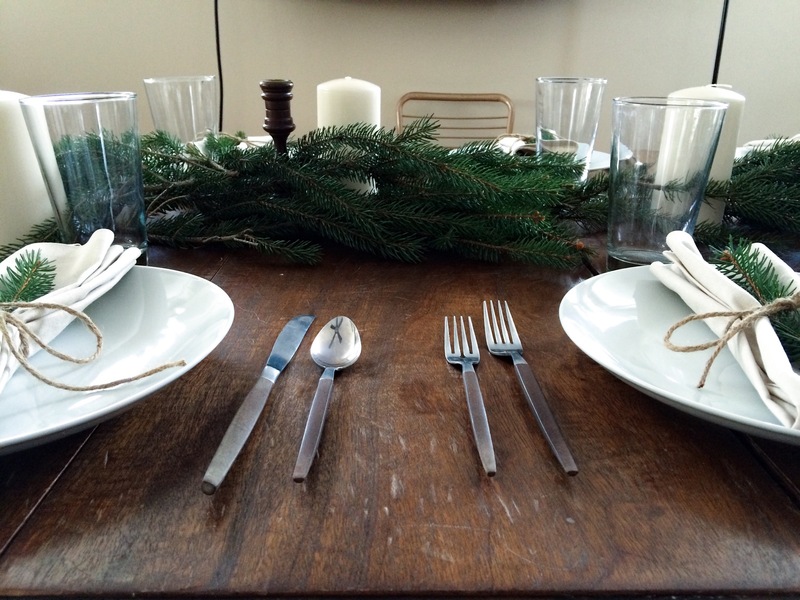 There are so many ways to style a table. Some are elaborate and some are simple. I am more drawn to the simple side. It is easy on your wallet, but looks really elegant and tasteful at the same time. When the decor is simple, we can focus more on the food (and I need to focus on the food! ), the people we have over, and the conversations that are born. It also means a poor girl can pull off a fabulous table! Entertaining is new to me. And I’ll be honest, it’s a little scary. Will the food turn out alright? Will people have a good time? Growing up my parents never really entertained – nothing this elaborate and certainly not for Thanksgiving. It was just the 4 of us, the table filled with food with every inch that could be spared. The house toasty warm from the fireplace and the smell of turkey permeating every room. We walk into the kitchen after what seems like an endless amount of waiting and feast our eyes on the food. So it was about the food and being together. And it is no different now. Although the table at the gathering won’t look exactly like this, I wanted to give you some idea of what it will look like. I have been inspired by a simple style that a lot of other stylists and bloggers have taken to. I really love the simple greenery going down the center. I think it gives the decor an earthy feel. If you don’t want a swag, you can do flowers in vases if you’d like. Or no florals, it’s up to you! I am using Italian Ruscus for my centerpiece but it would be just as easy to forage some pine too! It also helps that I work at a flower shop so I get a discount! The candles are elegant and yet simple. Nothing too fancy. The linen napkins I made myself. I folded them, wrapped them in twine, and stuck a piece of greenery in the center. Again, it’s a simple and rustic look and can be achieved at a low cost. Bonus: buy linen when it’s on sale or there’s a big sale going on in the store! At Joann’s I had a 60% off coupon and I got a third yard for half off! 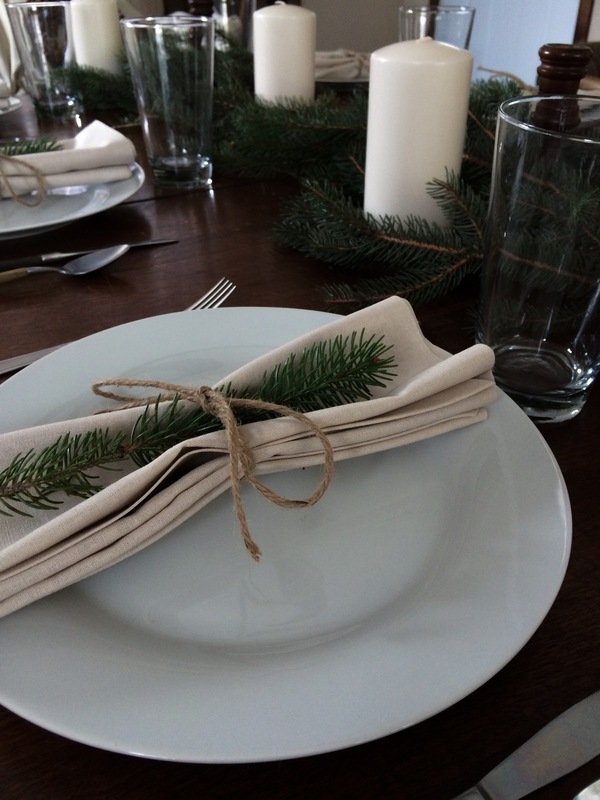 If you want to know how to make your own linen napkins too, you can view my post on it here. Almost everything I either got at a discount, secondhand, or a thrift store. Entertaining simply and on a budget can be done! I can’t wait to show you the actual gathering, but this will have to do for now! I hope this gave you some inspiration for your Thanksgiving gathering! Especially if you want to go simple this year! Next, I will show you the highlights of the gathering so be sure not to miss that! 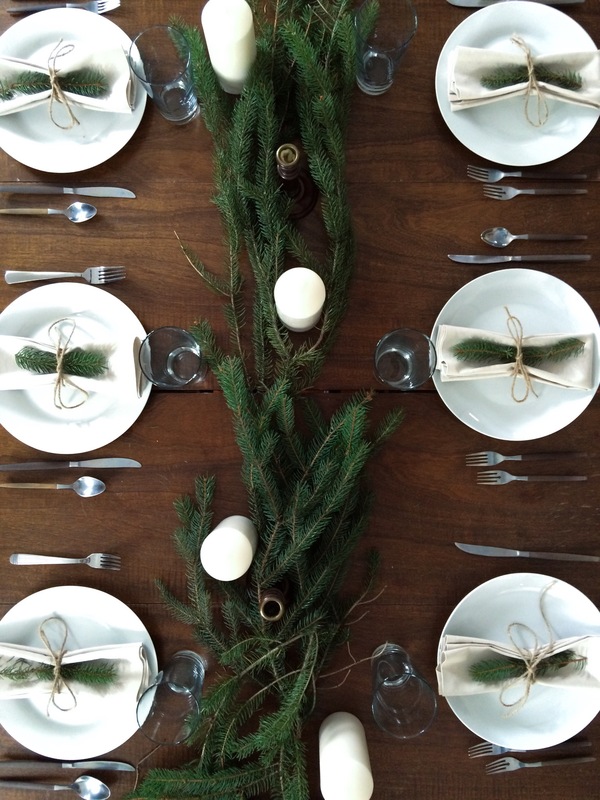 How do you decorate for Thanksgiving on a budget? I would love to hear from you! Thank you! I’ve been getting so excited for this gathering! Part 1 recap of the gathering is up, you should check it out!